Rahul started his Ranji career in February 1991.He made his debut against Maharashtra at Nehru Stadium,Pune. Anil Kumble,Javagal Srinath were the part of his team. He scored 82 in that drawn match after batting in the No. 7 position(take a note of this!!!!). His first full season was in 1991-92, when he scored two centuries to finish with 380 runs at an average of 63.3.In the following year, he had another strong Ranji Trophy scoring 644 runs at an average of 80.5 including two centuries. 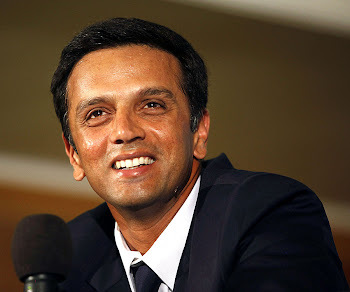 However, in the 1994-95 season, Dravid played only once in the Ranji competition, but he scored 191 in his only innings. In the 1995-96 Ranji Trophy season, he scored 153 as captain against Hyderabad in the semi-final to advance to the final, in which he scored another century against Tamilnadu. After being dropped from Team India in 2007, he played 2 Ranji games in which he scored 1 century and 1 double century to clear the doubts the selectors had raised over him.His century came against Himachal Pradesh.He scored 254 runs in the match against a good performing Mumbai team. He has been a star for Karnataka team whenever he has played in Ranji trophy tournament.